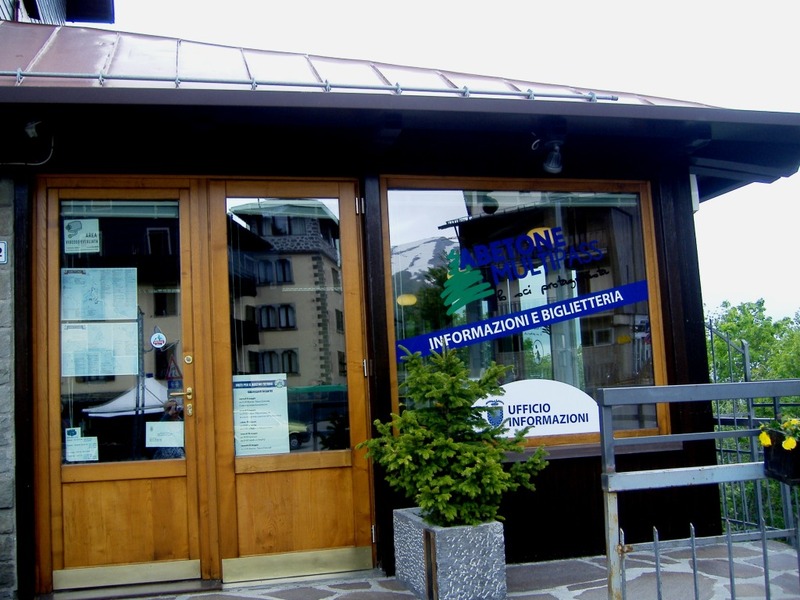 About a 45 minute drive from our apartment in Bagni di Lucca is the lovely ski resort of Abetone. While travelling on the local buses and prior to renting our hire car, we noticed the signs pointing to Abetone. No matter where we went we saw a sign to Abetone which piqued our curiosity. We knew that we must visit there while staying in the area. We also learned that when we were in Lucca or towns around the Lucca area, all we needed to do was follow the signs to Abetone because they always lead us home, as our village was on the way. So, the first day that we picked up our rental car in Lucca, after stopping for lunch, we started following the signs to Abetone. If you love fresh oxygenated air and incredible natural scenery, this is definitely a place you will want to visit. Of course, it was steep, narrow, winding roads for the drive up to Abetone but in a little Fiat 500 it was a breeze and the vistas along the way were amazing. Abetone is a beautiful area of Italy. Although obviously more popular in winter for skiing it is also lovely in summer for hiking and simply driving around. As we were there late spring there really was not much snow. We could see snow on the higher mountains but there was no snow in the actual resort village. 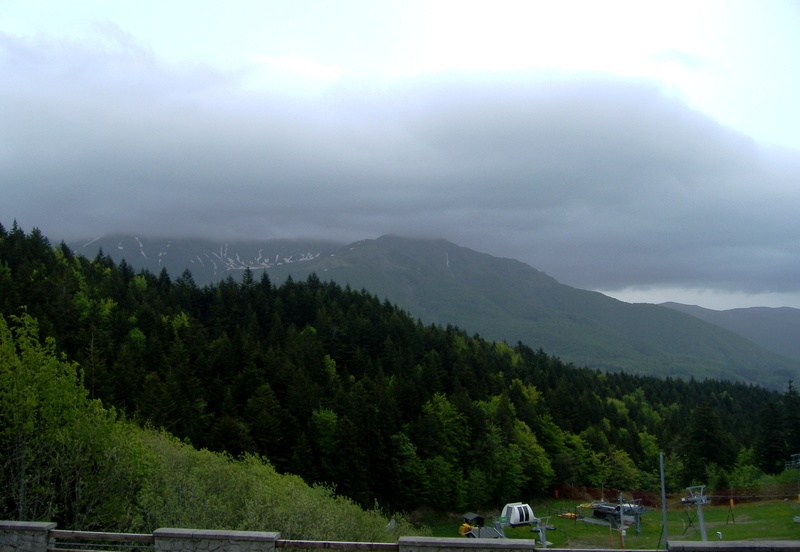 Although, on the day that we were there, it was rather cold and very cloudy. Most of the shops and businesses in the village were closed as I am sure business is seasonal and mostly relies on the ski season. We did however find a bar open where we enjoyed a hot drink and chatted with the local business owner. We did learn that there are many hiking trails in the area and some amazing views however I would imagine that there would not be much more to do outside of ski season. I do believe that it is a great ski resort for beginners and snowboarding and it has a good chair lift. Abetone is quite a good place to ski. They have lots of runs for beginners to experts. We have had some great skiing there. It is very reasonably priced, but I would suggest not going on weekends as people come from Florence, Bologna and Modena and it is very busy. Italians on skis are just like Italians in cars, they like to go fast and don’t like people in their way. My friend Belinda has just done a guest post on Bella Bagni di Lucca about a lovely walk from Bagni di Lucca to a lake near Abetone. Perhaps I will try a shorter version one day. Lyn Abetone looks charming and what a great location you chose to stay in Bagni di lucca which seems perfect for your many adventures in and around this area. Serendipity comes to mind for this charming village.